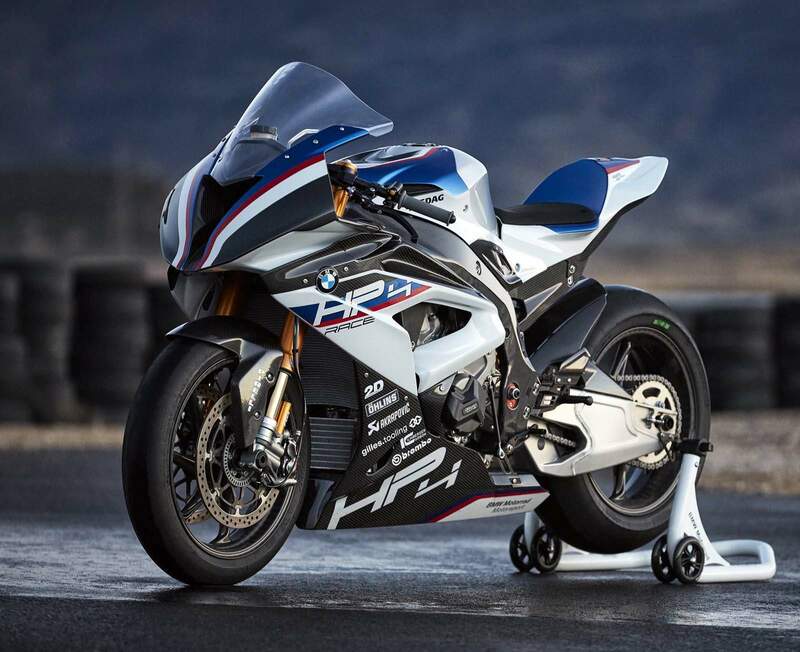 The HP4 RACE, is the first BMW to feature a full carbon fibre frame and BMW says: "it epitomises the brand's reputation for innovation, pioneering technology and class-leading performance." 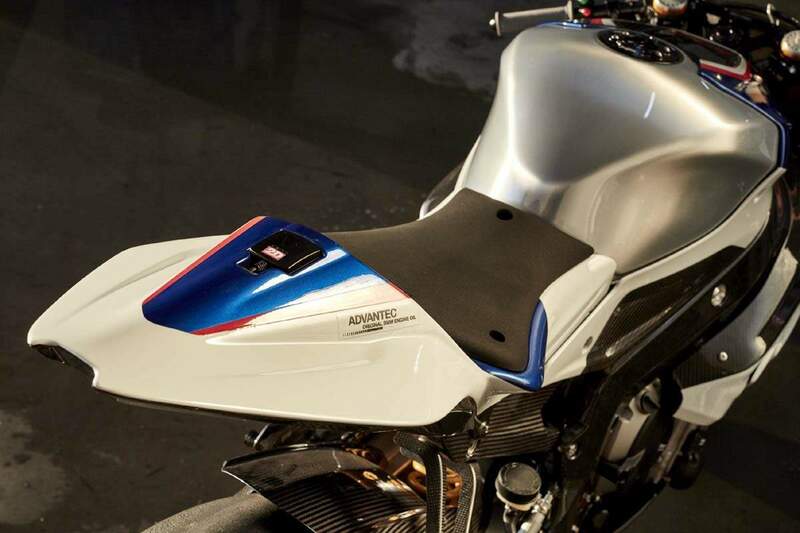 BMW Motorrad presents a purebred racing machine in a production run of 740 units. Each bike will be crafted by a small, highly specialized team to ensure the highest quality level. A track-only liter-bike for true enthusiasts. The engine is in the same class as current superbike factory racing machines, outputting a whopping 215 HP @ 13900 rpm and 120 Nm 88.5 lb-ft @ 10000 rpm. The bike uses a full carbon fiber frame to keep the weight as low as possible. 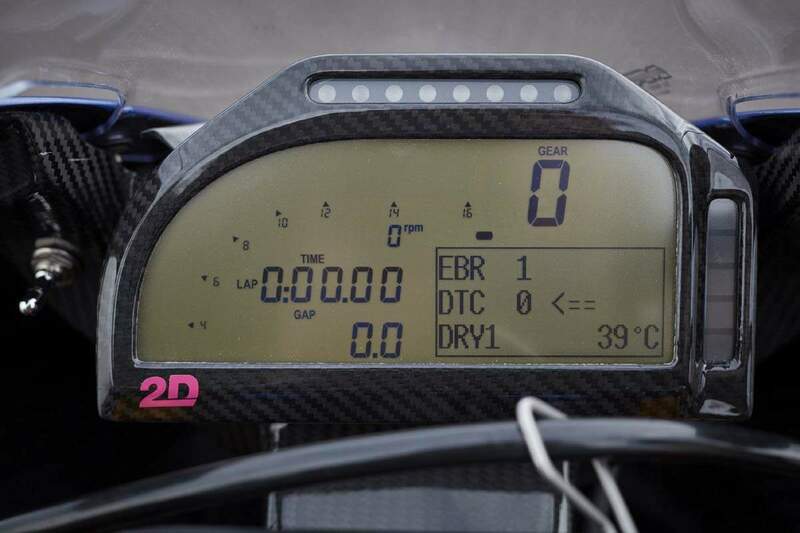 Tipping the scales at 171 kg / 377 lbs when fully fueled, the new bike is in fact lighter than the factory racing machines used now in the Superbike World Championship, and only slightly above the MotoGP prototypes. 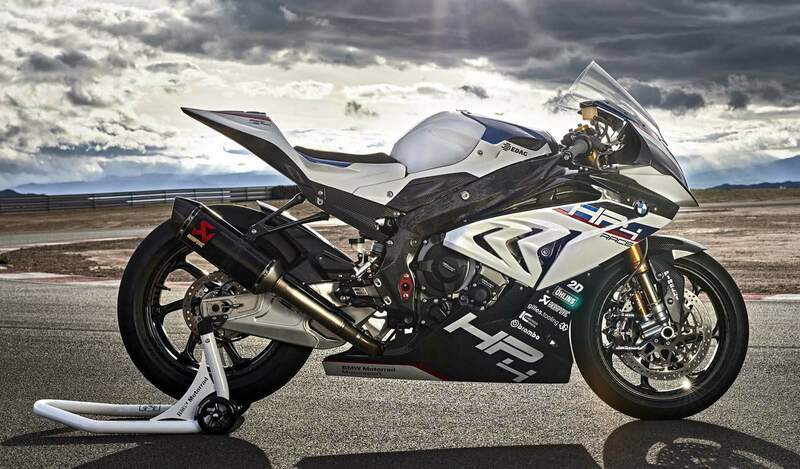 The HP4 Race bike also comes with Öhlins FGR 300 inverted forks and a TTX 36 GP monoshock – the same as used in both the World Superbike and MotoGP racing series. Brembo GP4 PR monoblock brake calipers also come straight from the world stage and ensure optimal braking performance. 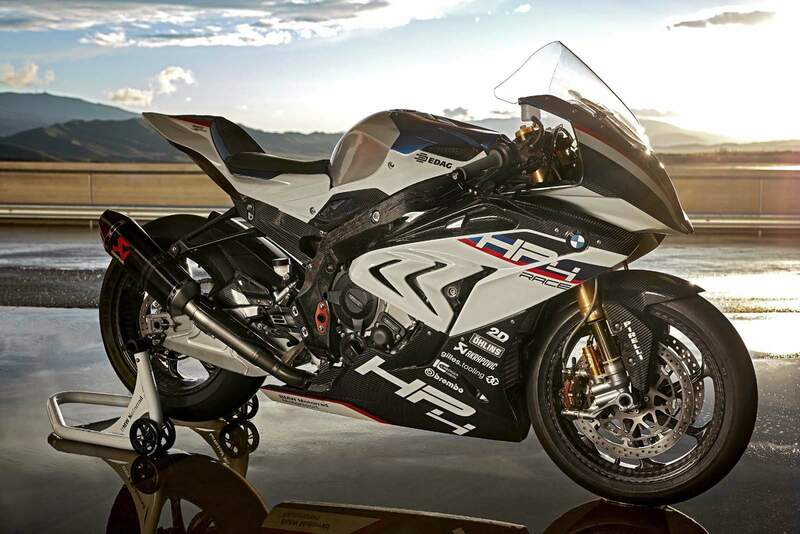 For the BMW HP4 RACE’s carbon technology, it’s not about how it looks, but rather its characteristics. They facilitate the precalculation and incorporation of function-dependent torsion and rigidity. As rigid as aluminum, as hard as steel. All advantages of the carbon material were fully exhausted on the wheels. They remain particularly flexible. 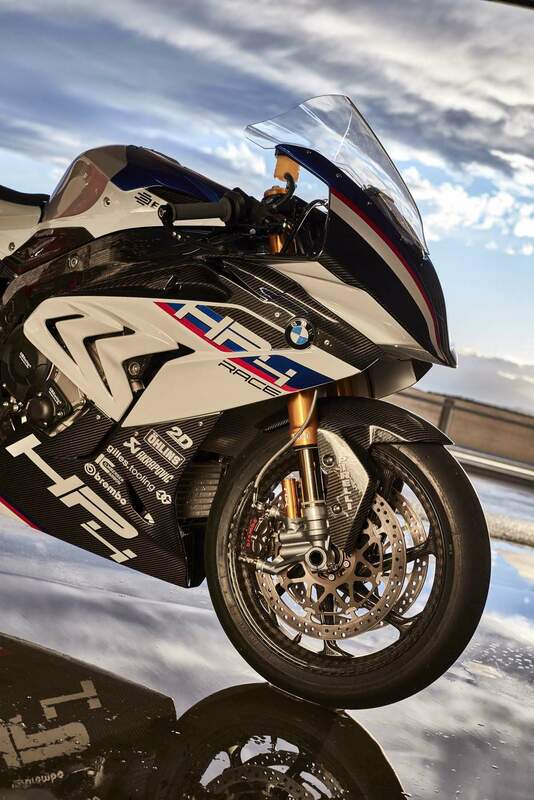 The HP4 RACE’s racing claim is reflected in every component. There is a 2D dashboard in the self-supporting carbon front that contains all of the important information for drivers and engineers. The 2D data recorder allows the recorded data to be saved and read out. The dynamic traction control (DTC) is operated with precise buttons and offers the optimal traction for every racing situation. The gear-dependent power delivery and programmable engine brake and wheelie control are further electronic features that, in addition to the pit lane limiter and launch control, guarantee problem-free racing operation. The electronics are topped off with the minimized cable harness and the lithium-ion batteries installed in the self-supporting carbon frame tail. 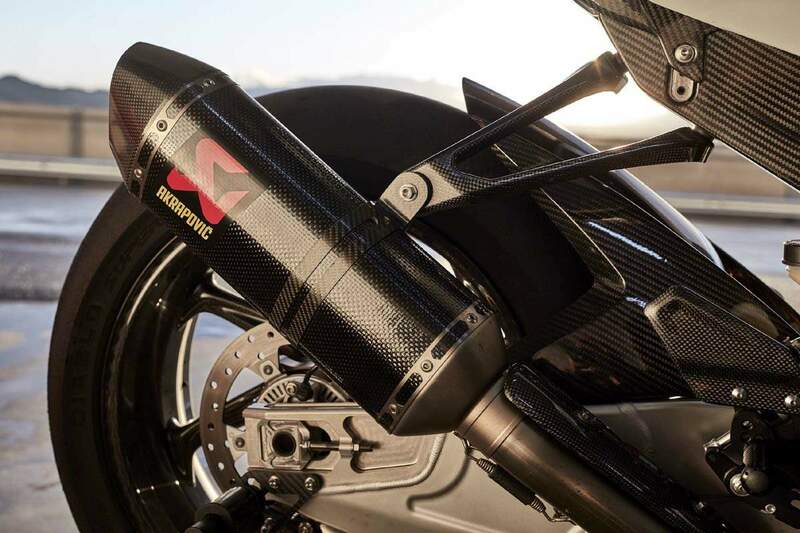 The carbon frame tail, an additional part of the optimal ergonomics of the HP4 RACE, can be adjusted to three levels. Other driver-specific adjustments can be made to the handlebar tapering and the footrest system. The HP RACE shift assistant Pro with shift direction inversion gives clear feedback at every gear shift. The six-gear, “close-ratio” transmission has transmission stages adapted to the World Championship specification and can be further adapted with additional secondary transmissions (contained in the scope of delivery). 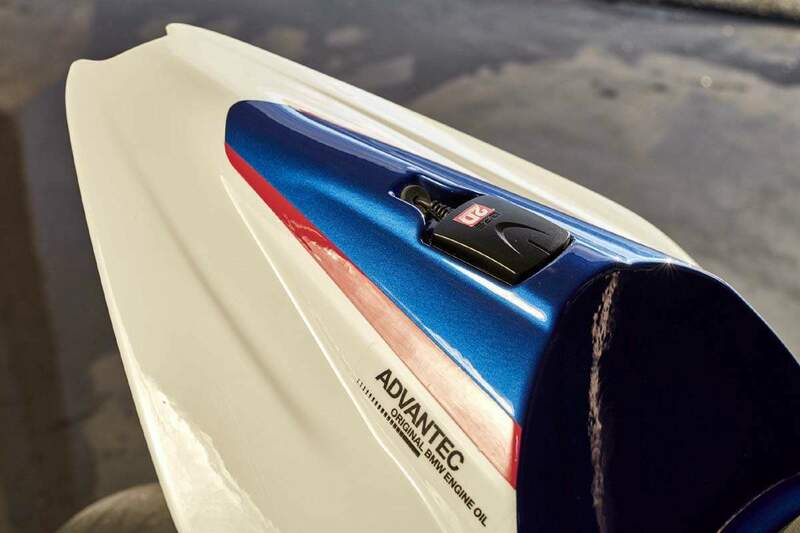 At World Championship level and with 215 hp to work with, the oil and water-cooled four-cylinder four-stroke engine is built by our specialist team, checked on the test stand and delivered with a test certificate. Every single engine achieves the required power curve. The FGR 300 upside down fork and the TTX 36 GP spring strut made by Öhlins are known from the World Superbike. 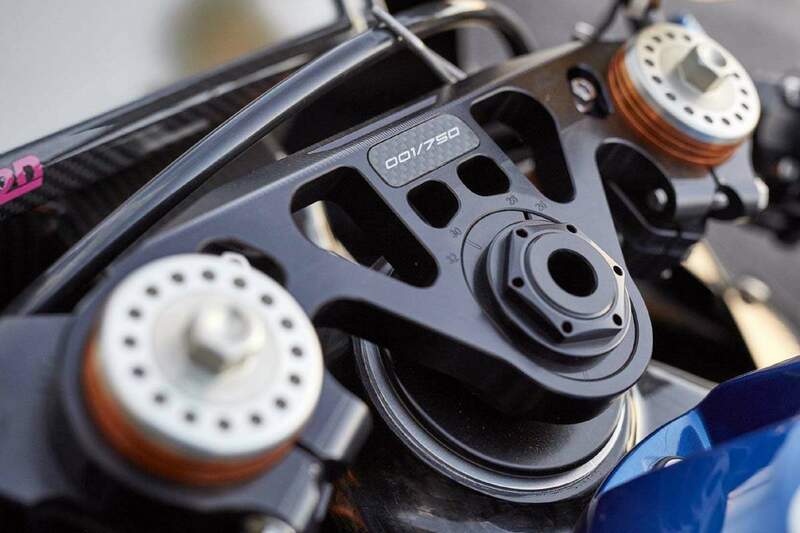 The Brembo GP4 PR brake calipers, which are used in the MotoGP, lead to superior brake performance in combination with the 6.75 mm-thick 320-T-Type racing steel brake discs. 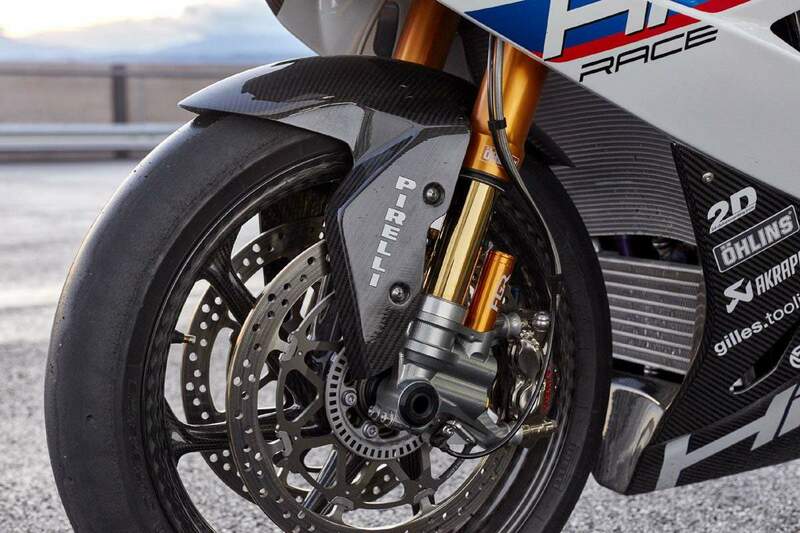 The HP4 RACE’s carbon-fiber woven rims save 1,540 grams in comparison to forged wheels and are noticeably more agile thanks to the reduced mass. 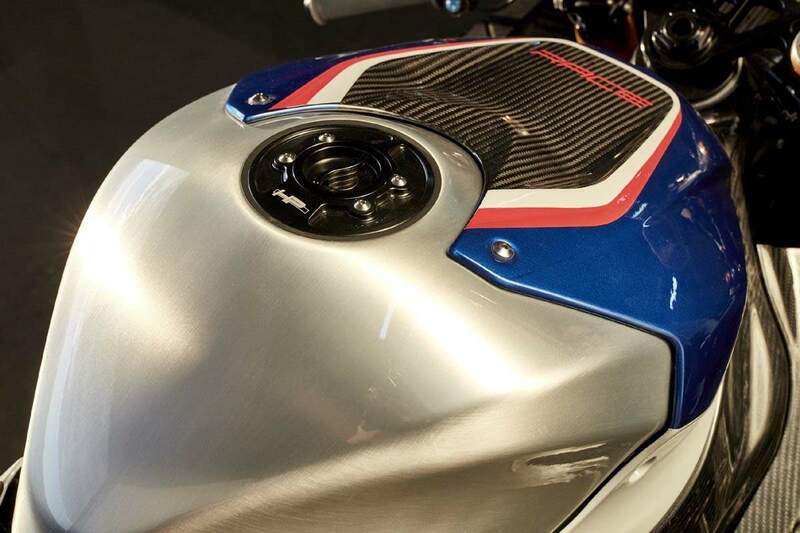 The consistent lightweight construction is continued with the Volltitan exhaust system from Akrapovič and the hand-brushed aluminum tank. After all, those are also the details that make a dry weight of 322 lbs (377 lbs / DIN empty) possible. The titanium screws installed in the sizes 6, 8 and 10 do not only save weight on the HP4 RACE, but also on the tools required.